Funeral Services for Rose I. (Ponto) Roell will be held at 1:00 P.M. on Wednesday, February 13, 2019 at St. Theodore Catholic Church in Albert Lea. The Reverend Kurt Farrell will officiate. Interment will be in St. Theodore Catholic Cemetery. Friends may visit with family one hour before services at the church. Rose died on Wednesday, February 6, at St. Lucas Healthcare Community in Faribault, MN. She was 84. She was born on June 27, 1934, in Rice County, Minnesota the daughter of Raymond and Adella (Chapman) Ponto. 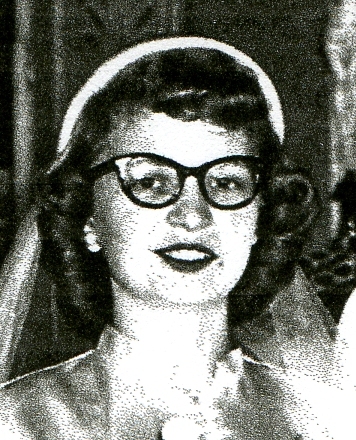 She married Kevin F. Roell on October 13, 1951, in Faribault, Minnesota, Rose had worked for Osco Drug and the Stables in Albert Lea and then Fleetgaurd in Lake Mills for more than 20 years. She was a member of St. Theodore Catholic Church and in previous years, the ELKS club. Rose enjoyed cooking and baking, traveling and having a nice dinner with drinks and great friends. She is survived by her children: Don (Nancy) Roell of Woodbury, MN, Diane (Ron) Edwin of Walters, MN, Craig (Pat) Roell of Albert Lea , MN, Theresa (Craig) Swenson of Sheldon, MN, Jeff (Janey) Roell of Albert Lea, MN, Susan (Paul) Yates of Charlottesville, VA; grandchildren: Jacob (Analisa) Roell and their children Joshua, Alex, Hannah and Eve, Jon (Ashleigh) Roell and daughter Elizabeth, Jackson Lee Roell, Nicole (Chad) Benner and children Tory and Kaysie, Matt Roell, Mark (Karin) Swenson and children Emery, Ryland and Lyla, Michael (Molly) Swenson and children Max and William, Shelly and her daughter Aubree, grandson-in-law Travis and children Kevin and Blaine, John Roell and Jamie (Jeremy) Poole and children Julianne and James; siblings: Donna Smith of Oskaloosa, IA, JoAnne Frennea of Mobile, AL, Carol Ponto of Faribault, MN, David Ponto of Mpls, MN, Barbara Thompson of Faribault, MN, Mary (Dennis) Fuller of Faribault, MN, Michael Ponto of St. Paul, MN and many nieces and nephews. She was preceded in death by her parents, her husband Kevin Roell, her son Keith Roell, granddaughter Kathy Thorson; brothers Donald, Raymond, and Jim Ponto and sister Bette Christiansen.